CHICKWEED - WHAT'S IN A NAME? 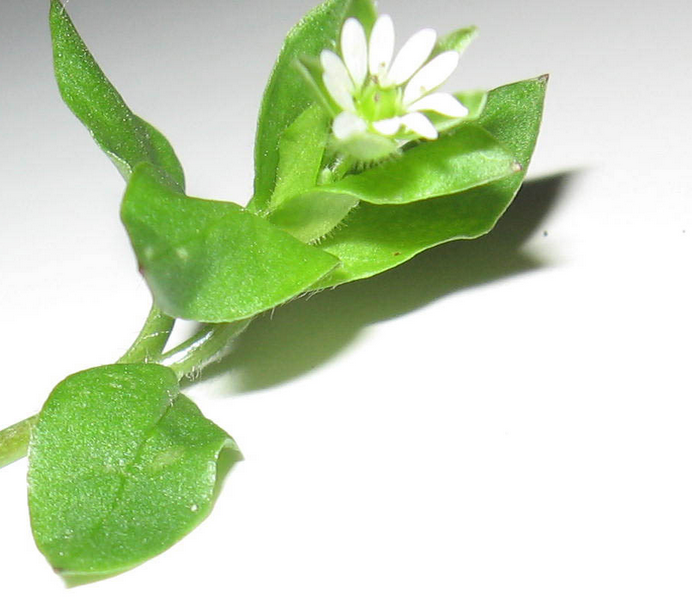 Chickweed Extract: (Stellaria Media) If you're a gardener, we'd like to bet you don't think too highly of this common 'weed'. Our aim with this post is to change your mind (well maybe a little). Chickweed is a member of the Caryophyllaceae, or carnation family. Commonly found in Asia, Europe and North America, Chickweed's use as a medicinal herb has a history that spans many continents. Cherished by Native Americans, this edible medicinal herb was used as a general tonic to keep them healthy in winter months. 17th Century English herbalist John Gerard wrote about its fast acting anti-inflammatory properties, and it was also widely utilized in Chinese Medicine and Ayurvedic Medicine. (This is a theme we see over and over!) Even chickens love it! (which is how it got it's name). Our definition of a weed, is any plant growing where it's not wanted, and in many cases, Chickweed can be an invasive pest plant. To us though, as All Natural product manufacturers, it's a minor miracle when it come to Organic Skin Care! Here at the PuraVeda Organics Lab in Asheville NC, we steam distill organically grown chickweed for a standardized, concentrated extract to add to many of our Skin Care products. 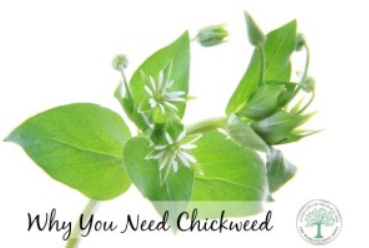 Chickweed owes it's Anti-Oxidant properties to high levels of Beta-Carotene, Vitamin C and Bioflavonoids, and it's soothing, calming, astringent effect on the skin can be attributed to it's rich mineral (Calcium, Magnesium, Potassium and Zinc) content. We use it in our Sensitive, Blemished & Rosacea Care line (SBR) as it is very helpful for Rosacea, Psoriasis and Eczema. We also use it in all of our Eye Care products, as it has a superior ability to reduce swelling and puffiness.